Orders processed safely through Paypal. your payment method on the next screen. 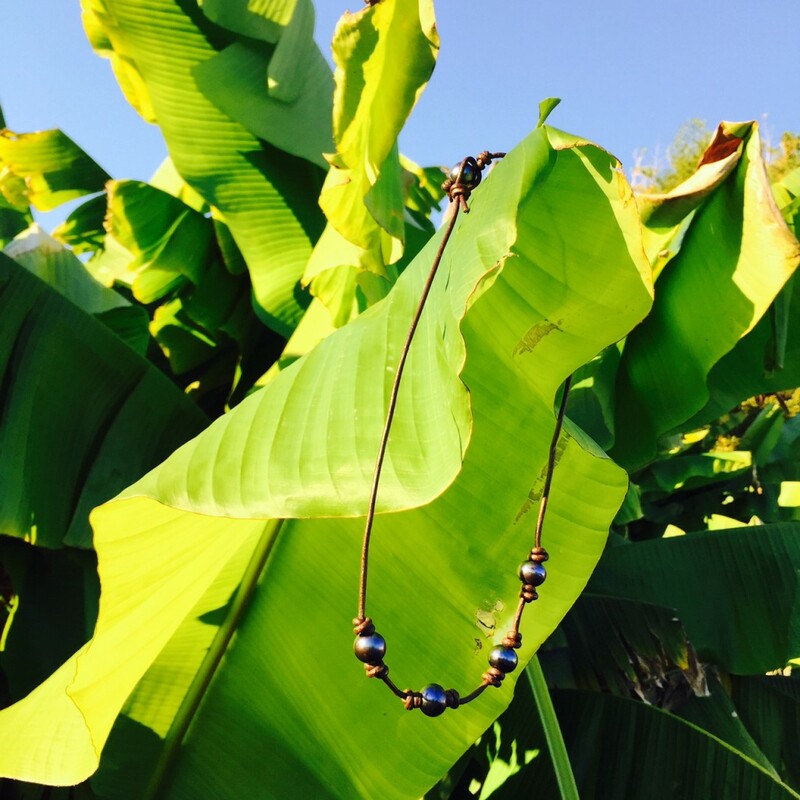 This jungle inspired necklace for men, called “Agua De Vida”, was designed by Lily Emmaline. The meaning of the necklace name (“Agua De Vida”) is “Water Of Life”. When you wear it, it signifies that you are helping give clean water to someone in desperate need of it! Nearly 1 billion people do not have access to clean water – something so vital and important that most of us take for granted. Your purchase can help change this. LilyEmmaline.com will give a portion of all sales of each necklace to help fund the lilyemmaline.com campaign at “charity: water” and bring clean water to those in need! 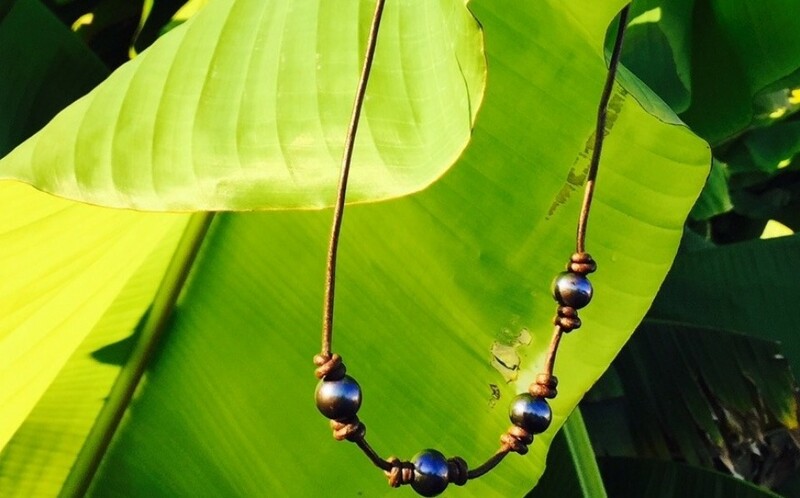 Genuine natural leather cording, hand-strung through black pearls, finished off with Sterling Silver Lily Emmaline tag to create a tropical, surfer look.